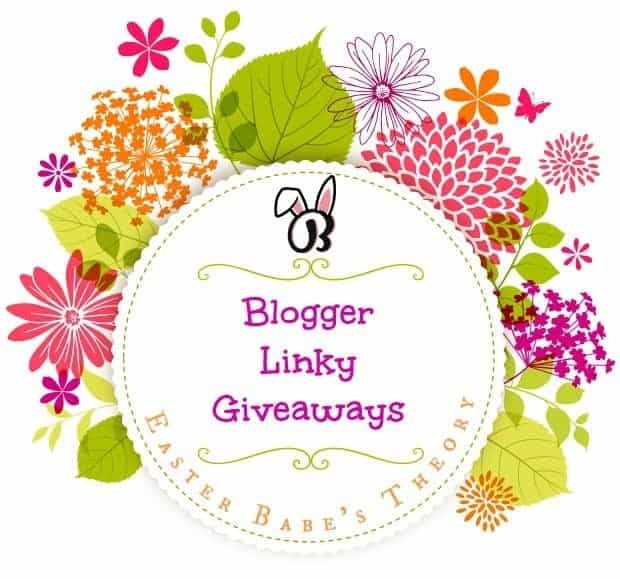 Welcome to the Blogger Linky Giveaways! I’ve joined other awesome bloggers to bring you the best giveaways. We offer our readers a fantastic opportunity to discover new content. This linky giveaway also offers bloggers a chance to share their content to a new audience. Attention fellow bloggers: Let the party begin! Link-up your family-friendly giveaways that are currently running. Please be sure to enter a short giveaway title and end date. Additionally, we would love for you to share our Linky Giveaways on one (or more) social media outlet. Please take a few minutes to visit our host’s and like their social media pages! Without them, we wouldn’t have such a great line up of giveaways. Bloggers love to add their giveaways daily so be sure to check back again soon. Sign up below to get first dibs on insider savings and giveaways along with my curated lists of beauty, style, travel and more! Easter Babe’s Theory is not responsible for prize fulfillment and may not be affiliated/involved in the giveaways. Sponsors are responsible for prize fulfillment. My holiday plans this year is to enjoy having my son home from Fayetteville , AR.